This Nautical invitation is perfect for your next themed event. Birthday Parties, Weddings, or engagements, it is certain to set the tone for sailing away. 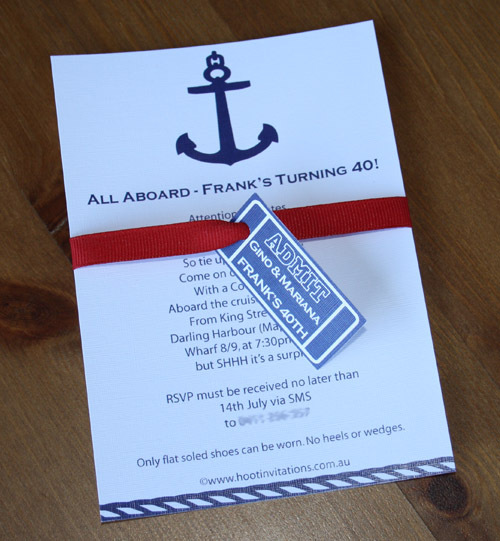 Is A6 in size, and features an anchor motif, with red grosgrain ribbon and ticket detail with your guests names. Price includes full personalisation including changing of fonts and colours, and a matching envelope labelled with your guests details.